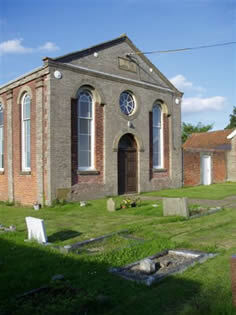 Small village church on outskirts of the village of Stanningfield built 150 years ago. Very welcoming and caring community knitted together by prayer for one another. Members who have moved into the town continue to support us and are always interested in the welfare of friends at church. We work hard raising money for charity. 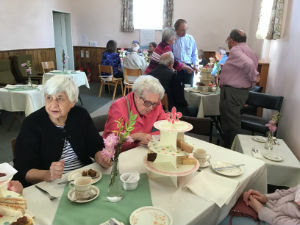 Bradfield Methodist Church maintains good relations with our Church of England friends at St Nicholas in Stanningfield. Harvest Festival gifts are given to their Food Bank project. Services are shared at Christmas. 19th May 2019 - ALL ARE WELCOME to join in our Church Anniversary Services at 11:00am and 6:30pm. We will be welcoming our friend Rev Peter Goodhall from Haverhill Methodist Church to lead our evening service. 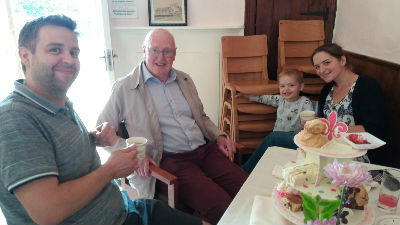 To help celebrate Bradfield Methodist Church's Anniversary, the church put on a special Afternoon Tea for residents of Bradfield and Stanningfield by special invitation. Around 40 people attended. This event took place on Saturday 25th August 2018, 3:00pm - 5:00pm. 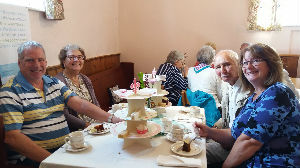 Initiated by our minister, Rev John Boardman, this gave the wider community the chance to get to know the Bradfield Methodist Church family and see inside the chapel, ably supported with Trinity Methodist Church's Occasional Catering Team (TOCT) doing the refreshments. More news about the work and life of Bradfield Methodist Church can be found in "The Herald", the newsletter for the churches in the Sudbury section of our Circuit via the St John's Sudbury website.